With something as important as Social Security, you don’t want to cross your fingers and hope you made the right decisions. It’s critical to have a solid understanding of the details. When it comes to claiming Social Security retirement benefits, you have a number of decisions to make that can have a great impact on how much you will receive. In this guide, we will answer the five biggest questions that everyone has about Social Security and how to maximize your benefits. Your Social Security benefits are calculated based on lifetime earnings. The Social Security Administration (SSA) calculates your benefit based on your 35 highest earning years, with a minimum of 10 years of work to be eligible for benefits. If you have worked less than 35 years, then zeros are averaged in for the remaining years. The wages are indexed to today’s wages in order to accurately reflect wage growth. Once your average monthly earnings for the 35 years are calculated, a special formula is applied and the result is your primary insurance amount (PIA). The PIA is the benefit you are eligible to receive when you reach full retirement age (FRA). However, your actual benefit will be affected by when you choose to claim it. Taking benefits before FRA will reduce your benefit, and waiting until after FRA will increase your monthly benefit. Also, starting at age 62, your benefits will be regularly increased to keep pace with the cost of living. Married people are also eligible for benefits based on their spouse’s work history. Their benefit is 50% of their spouse’s. 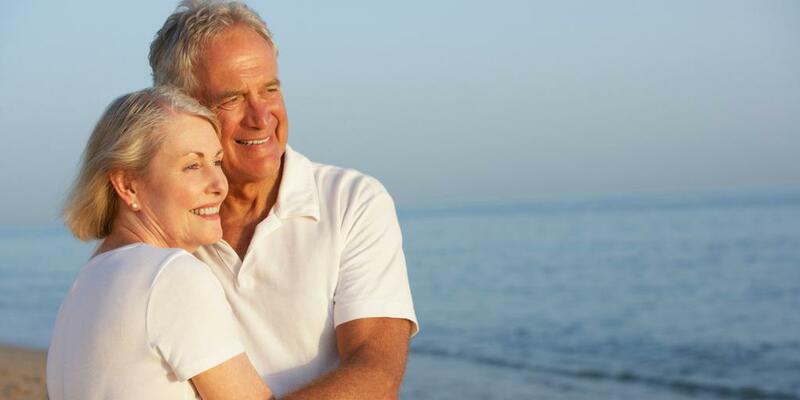 In order to receive these benefits, the spouse must be at least 62 and have already filed for benefits. If you are divorced, you may also be eligible to receive spousal benefits based on your ex-spouse’s work history. Your marriage needs to have lasted at least 10 years, you must be divorced for at least two years, and you must still be single. You also need to be at least 62 and not eligible for higher benefits based on your own work record. The good news is that your ex-spouse does not need to have filed for benefits in order for you to claim them. When Can I Claim Social Security Benefits? You can claim your Social Security benefits anytime between age 62 and age 70. However, when you choose to collect benefits will impact the amount of benefit you receive. While you can start receiving benefits as early as 62, it will be lower than if you waited longer. Your basic benefit is reduced a fraction of a percent for each month you begin receiving benefits prior to full retirement age, up to a 30% permanent reduction. Your FRA changes based on the year you were born. FRA is 66 for those born between 1943 and 1954 and goes up two months for every year after that until it settles at 67 for those born in 1960 or later. If you wait until you reach full retirement age to begin collecting your Social Security benefits, you will receive the full PIA that you have earned. If you’re still working or don’t need the money immediately, you can delay receiving your benefits. Your benefit will increase 8% for each year that you delay, with a maximum possible increase of 32%. You cannot delay and increase your benefit indefinitely, though. Once you reach age 70, you are required to file for benefits and lock in the amount. When Is The Best Time To Claim Social Security Benefits? Once you stop working, the only influence you have over your Social Security benefits is when you take them. The timing of when you choose to do so greatly affects the size of the benefit you will receive and should be carefully considered. An important document that you will reference during the decision-making process is your Social Security statement. The Social Security Administration mails these statements out from time to time, but you can also access the same information through their website – www.SSA.gov . All amounts listed are estimates and subject to change. They are calculated based on your date of birth and future estimated taxable earnings. It is important for you to review your earnings history and check for accuracy. Your benefit is calculated based on those numbers, so if there are any mistakes, you need to get them fixed. Your Social Security benefits are calculated using complex actuarial equations based on life expectancy and estimated rates of return. They are not designed to encourage early or late retirement. If you live as long as they anticipate, the total amount you receive over your lifetime should be about the same whether you claim it at age 62, 70, or sometime in between. You will either receive the money as a smaller monthly payment over a longer period of time or a larger monthly payment over a shorter period of time. Deciding the best time for you to claim your benefits depends on how you compare to the averages. If you expect to live longer than average, your overall lifetime benefit will be greater if you delay claiming your benefits to increase your benefit amount. If the opposite is true and you see little chance of making it into your mid 80s, you would receive a greater lifetime benefit by taking it sooner, even though it is a smaller monthly payment. If you plan on investing the money, it might be better to take it early if you can get high enough rates of return. Once you make your decision, remember to complete your application for benefits three months before the month in which you want your retirement benefits to begin. How Can Married Couples Maximize Benefits? Because married people have the ability to receive their own benefit or a spousal benefit, they have more to consider when filing for benefits. With the right strategy, married couples can maximize their benefits. According to the Society of Actuaries, the lower-earning spouse should begin collecting benefits early while the higher-earning spouse waits as long as possible. That way, you can make use of the lesser benefit while maximizing the higher benefit. Often it is the husband with the greater benefit and the wife with the lower one. Women also tend to live longer than men. By following this strategy, you not only maximize the husband’s retirement benefit for use while he is alive, but it also maximizes the wife’s survivor benefit when he passes away. While it used to be a popular claiming strategy, the Restricted Application is now only available to those who turned 62 before January 2, 2016. If you were born before January 2, 1954, you can receive a spousal benefit at FRA while letting your own personal benefit continue to grow until age 70. You can only do this if you meet the age requirements and your spouse has already filed for benefits. If you were born after January 1, 1954, then you will be awarded the higher of your spousal benefit or personal benefit when you file and do not have the option to continue to let your personal benefit grow. How Does Working Affect Benefits? Working does not affect your benefits once you reach FRA, but it does before that. Only earned income, such as wages and self-employment earnings, affect your Social Security benefits, not income from investments, pensions, and annuities. When you are under FRA for the whole year, your Social Security benefit is reduced by $1 for every $2 you earn over $17,640. In the year that you reach FRA, your benefit is reduced by $1 for every $3 you earn over $46,920. Once you reach FRA, your benefit is no longer reduced no matter how much you earn. When and how to claim your Social Security benefits is a very important decision. Since the process can be complicated and has such a significant impact on your retirement, it is a good idea to consult with a financial professional first. According to a Nationwide survey, those who worked with a professional reported receiving over 20% more in benefits than those who did not. That’s money you don’t want to leave on the table. (3) If Social Security is on the horizon for you or you are in the midst of the decision-making process, we would love to help. Call us today at 941-778-1900 or email info@integracapitaladvisors.com to plan your path to financial freedom.